The week before hosting Thanksgiving we should all treat ourselves to a lovely night out with a wonderful meal we don’t have to cook. 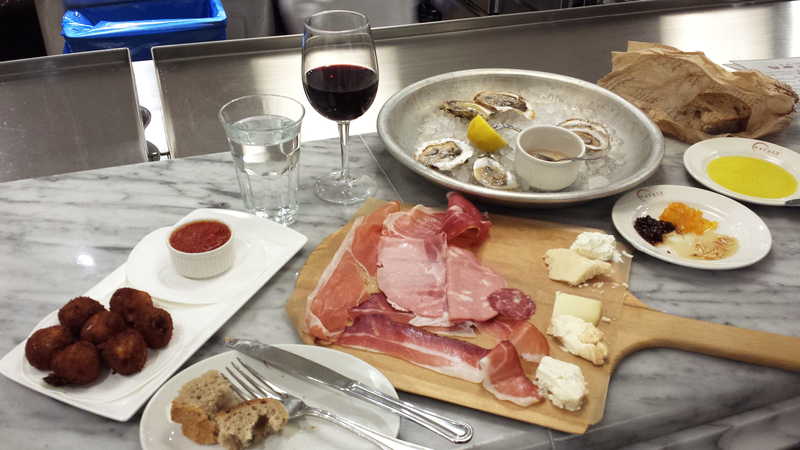 One of my favorite places to nosh is Eataly in Chicago. 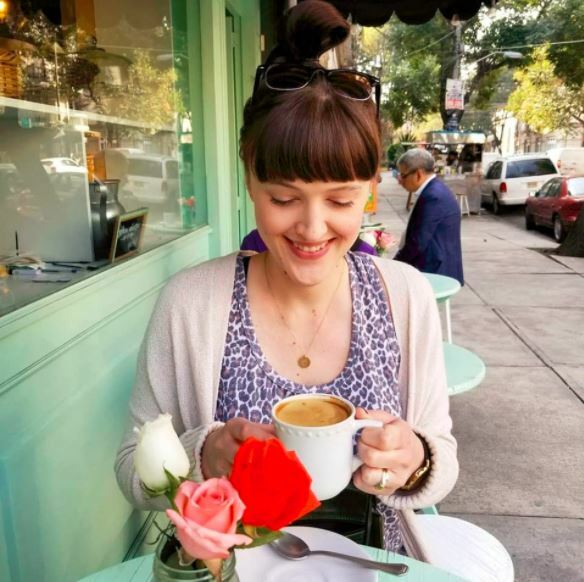 For those not familiar, it’s a huge market full of everything Italian – delicious wines, all the meats and cheeses you can imagine, gelato, crazy-good espresso, a deli, a butcher, mini-restaurants, a bakery, retail areas with foodie goodies and cookbooks, and more. I love the layout of the place which encourages you to grab a glass of vino, walk around and grab a bite here, then there, do a little retail shopping, stop at the deli for take home pepperoni and of course do another lap with one final glass of wine. Below is what we covered at our latest visit, but I love trying something new each time. Cheers! Below is a list of what was included the night we went. I think they have a rotating menu but I’ve got to say this combo was perfection. I surprised myself a little bit and found that my favorite meat was the funny looking pink one in the middle. Mortadella, I’m in love. 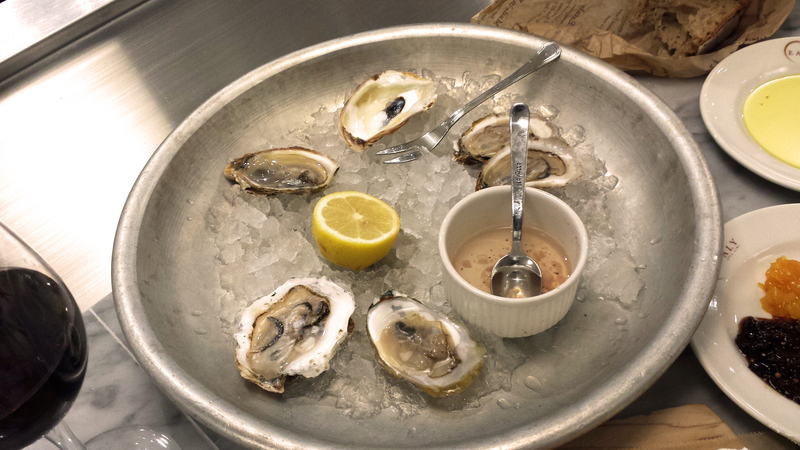 We also had delicious oysters – all east coast because that’s how we roll. These were Beavertail, Deep Cove & French Kiss. 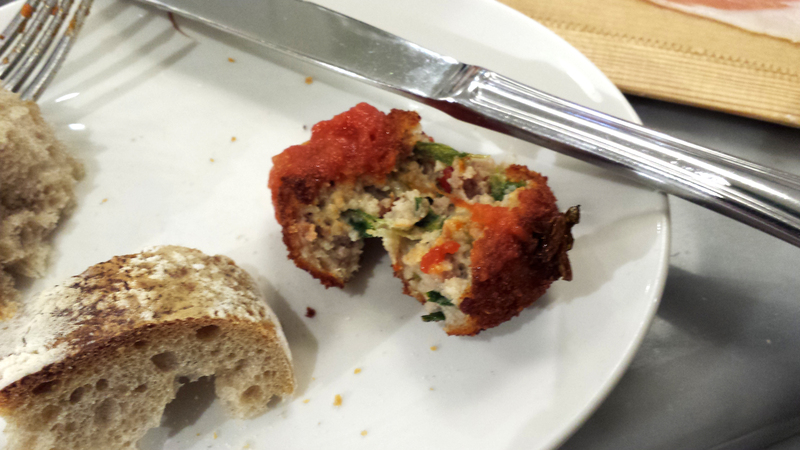 Next up we had prosciutto and escarole croquettes which were delectable. And just when you thought we couldn’t eat any more we went to the bakery to scope out the options. Hello! 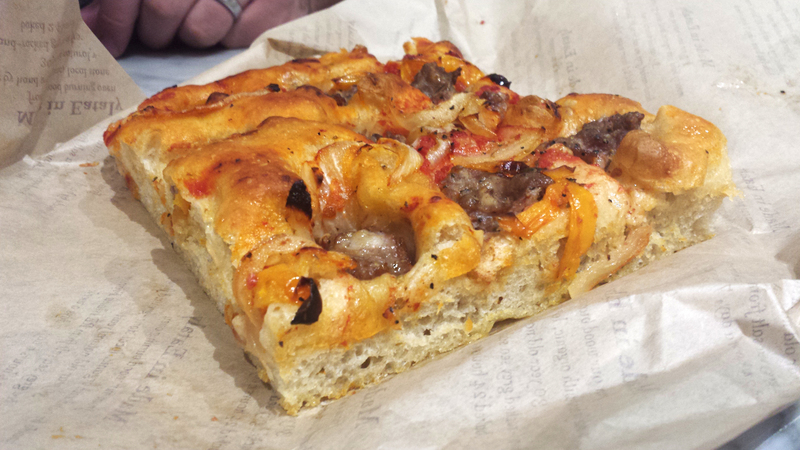 We found Foccaccia with sausage and peppers – YES please! Why have I not been shoving sausage into all my breads? 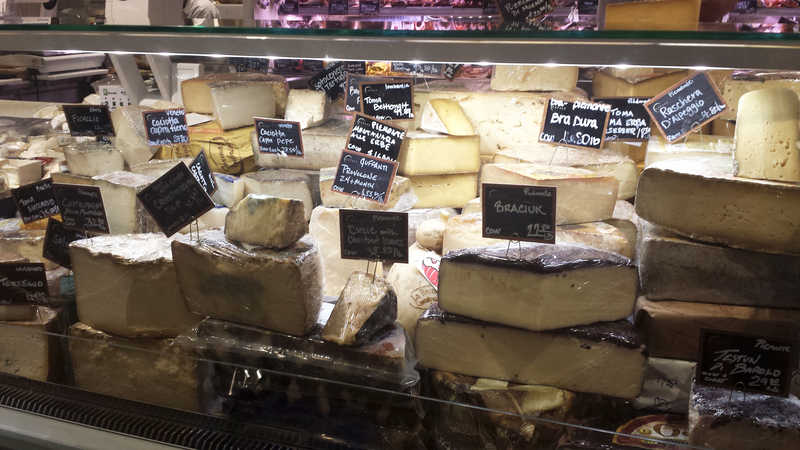 After truly stuffing ourselves, we needed a breather so took a little walk around the market. 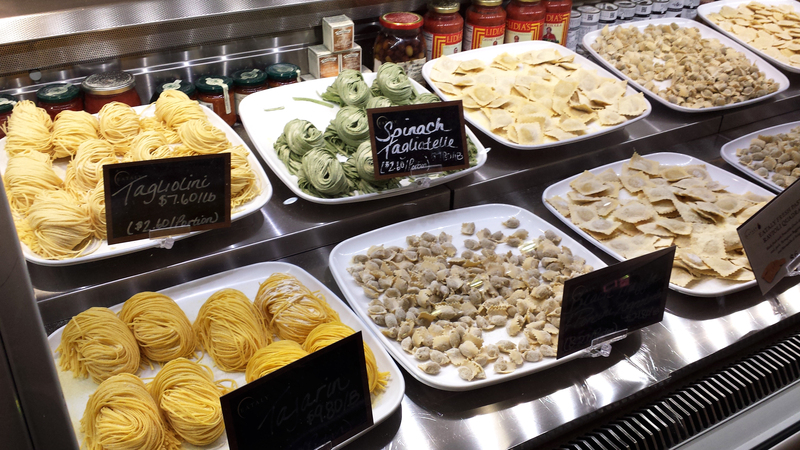 Look at how amazing the pasta looks. 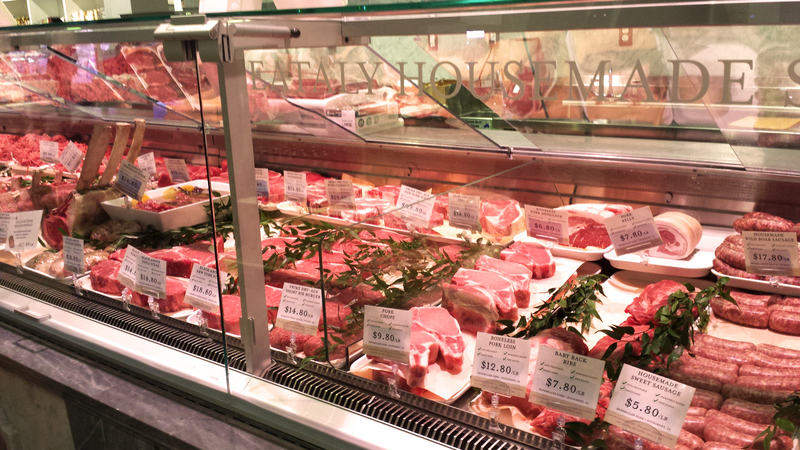 All the choices at the butcher looked phenomenal. I haven’t taken anything home from here yet but definitely on my list of to-do’s. 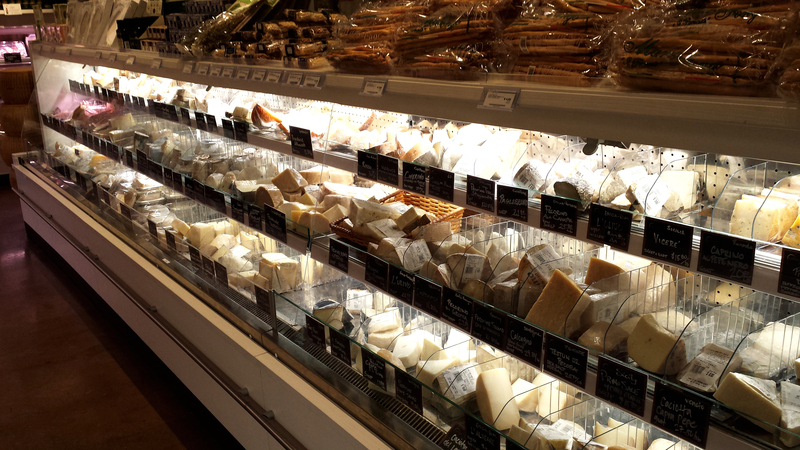 The amount of cheese available is enough to make you go mad – in a good way. 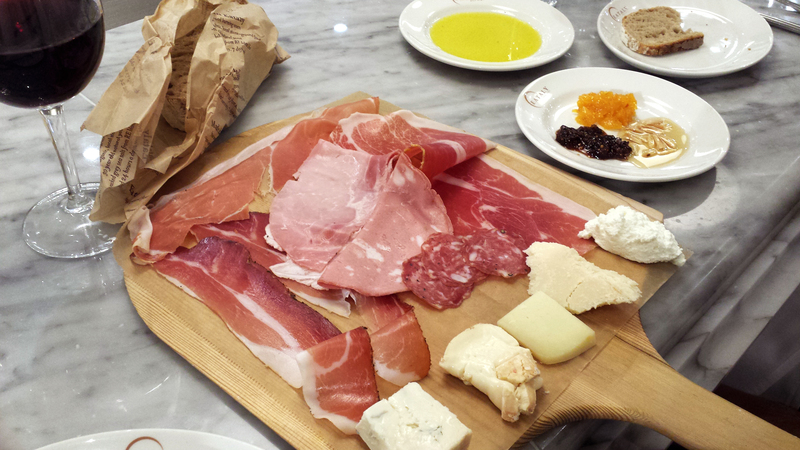 We grabbed some Provola to take home as we had homemade pizza plans in the near future. Next time I’m not leaving without a vat of their fresh ricotta. 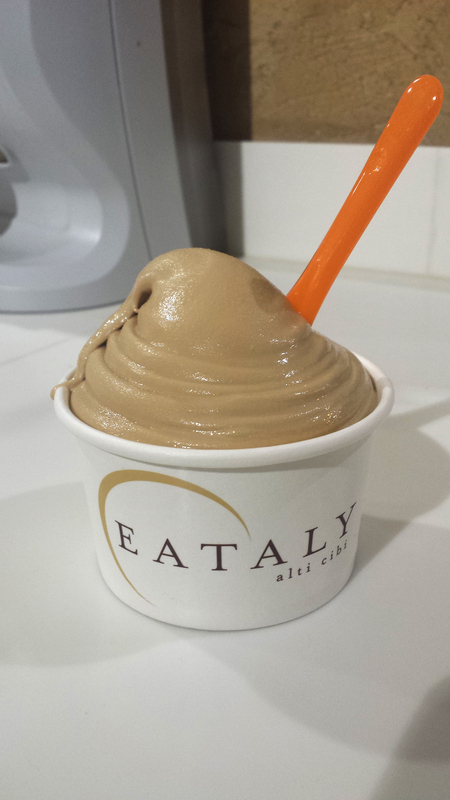 Alright so after a couple laps around the place I decided it was time to try some gelato, as I’ve never had it, woops! I ordered the coffee flavored and I’m already hooked. Don’t you just want to reach out, grab it and take a big spoonful? Ah! So good! 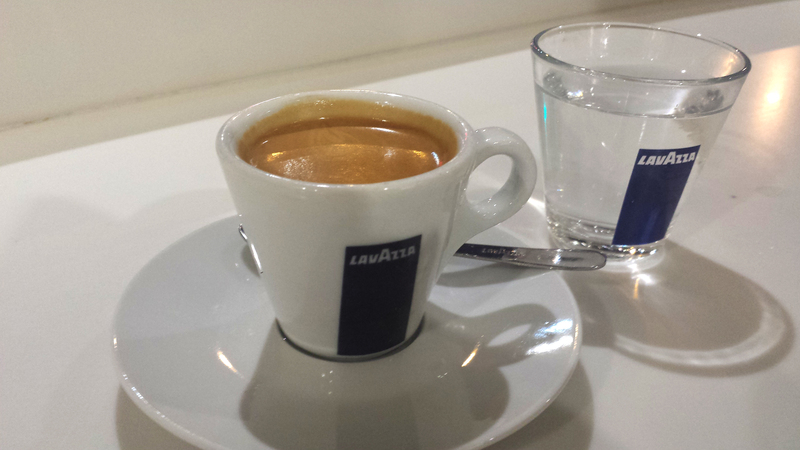 After all that food we decided to end with a delicious cup of espresso. It was the perfect end to such a great meal. 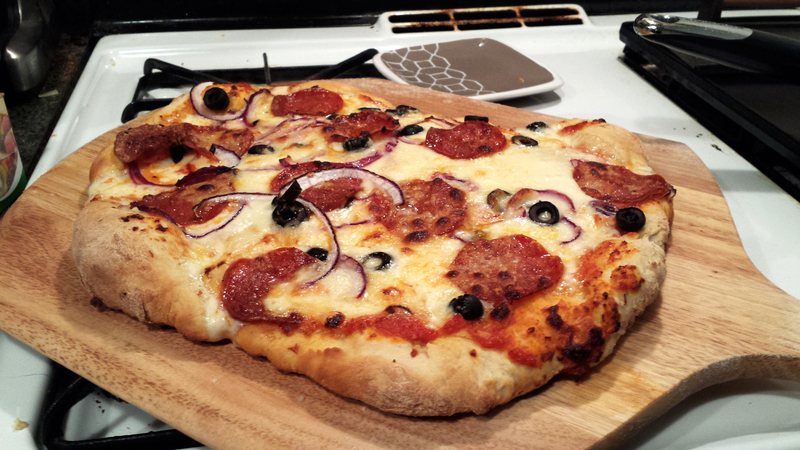 Before wrapping up this here post, I have to show off the amazing pizza Sir Dave made with the Provola and pepperoni we brought home from Eataly. So, so good. ‘Till next time delicious Eatly.